Group photo of adult class inside Our Savior's Lutheran Church. 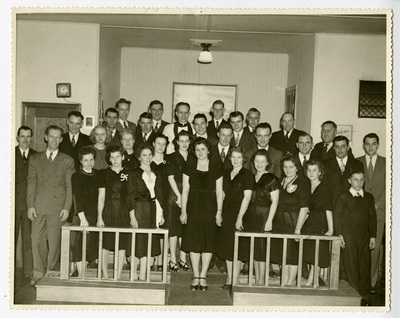 Back notation reads, "First adult class Our Savior's Church, Moorhead. Dec. 14, 1947. 32 in class one is absent".